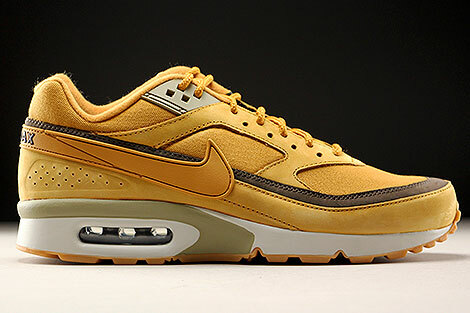 The Nike Air Max BW basically is the first Air Max, renamed only. The short form BW stands for "Big Window". This new Nike Air Max BW Bronze/b> comes this time in another great colourway in smooth leather and fabric in a Bronze Bronze Bamboo colourway. Features a great color combination, a nice bronze leather toebox and brown leather and bamboo accents. In the meantime it is a highly anticipated re-issue!